Mortier’s passionate, insightful record of his mother’s decent into the unforgiving spiral of fragmentation and decline that marks early onset dementia, is at once a loving memoir and a writer’s thoughtful reflection on the vital role that words play in his own ability to make sense of and cope with the most painful and difficult process of letting go or, as he puts it: “constantly saying goodbye to someone who is still there, yet not.” But the pages of Stammered Songbook: A Mother’s Book of Hours contain much more than a portrait of one woman’s steady regression from independent and vivacious to prematurely helpless, frightened, and lost; it offers an honest, sometimes brutal, account of the challenges of negotiating the surge of conflicting emotions that batter and buffer the individual and the family in mourning. He tracks her illness, from the earliest missteps through to the recognition, so painful for his father, that her needs can no longer be met by her loving husband, or by juggling responsibilities between her five children and their spouses. Even a large, closely knit family cannot provide the support and care she requires in the end – it is too difficult, too draining, and far too painful – especially when the person who once inhabited the emaciated frame of the body that remains has been slowly fretted away into the space of memories and dreams. Mortier’s writing has frequently drawn comparisons to Proust; powerfully, and I would argue rightly, reinforced by his elegant, sprawling epic set in Flanders during the First World War, While the Gods Were Sleeping. Smaller, more immediate, and intensely personal, Stammered Songbook turns – as his mother in the present recedes into the distance – into a lyrical, poetic sketch of the woman as he remembers her, and a moving reflection on the complexity of our relationships with those we love. Yet as he captures his experiences and emotions, he is aware that, as a writer, it is essential that he is able to fine tune the words he employs so that he may strike the exact note. That is, he is not only writing about his mother, he is writing about the process of writing about his mother. Stammered Songbook is a lyrical farewell to a woman lost too young to a cruel relentless thief; but even more powerfully it is a personal meditation on death, mourning, memory, and the myriad emotions – sadness, confusion, anger – that confront those left behind. Yet in reading it I could not help but think about two other books that traverse similar grounds and have informed some of my own thoughts about the project that I am attempting to write into being, so to speak. Both are powerful works that approach difficult emotional experiences arising from the authors’ own lives, each from a different angle. The first is a novel, This Is Paradise, by UK writer Will Eaves. Here the narrator begins back at a time before his own birth and moves through a childhood account of the unique dynamics that shape and define his family. Then, in the second part of the book, our protagonist is grown and his mother, now increasingly incapacitated by dementia, must be moved into a care facility. The account of the complicated emotions and tensions that pull at the family throughout the painful process of watching their loved one die – especially in the grips of such an unforgiving, emotionally paralyzing disease – was so striking that I kept thinking: There is an authenticity beyond careful research here. And, sure enough, after finishing the book I found an personal essay Eaves wrote for The Guardian chronicling his mother’s battle with Alzheimer’s. Clearly, much of his own experiences were embedded in the novel, but he chose to approach the subject mediated through the curtain of fiction – whether for distance, freedom or stylistic comfort, it doesn’t matter – it works beautifully. The other book is a memoir, this time a son’s effort to honour his mother in the light of her suicide at the age of 51: Peter Handke’s A Sorrow Beyond Dreams. On the surface it might appear that suicide is the polar opposite of dementia in that it is sudden, but the impact is no less devastating because it raises questions, so often unanswerable, that linger long after death and complicate the mourning process. Like Mortier, Handke is deeply conscious of the importance of writing and the efficacy of adequately capturing a life by spilling words onto a page. However, rather than placing himself at the heart of the memories he is trying to capture, he attempts to step back and maintain an intentional emotional distance. He wants to see his mother, in part, as an exemplar of the rural Austrian women of her generation; to place her life in a broader context to make sense of the very intimate act of her decision to take her own life. And the result is a spare, elegant meditation; but in the end, he cannot help but break the wall between his accounting – which was written within two months of her death – and his own emotions which are still very raw. These three books do seem to me to fit together, to form a triangle at the centre of which is the attempt, by a writer, to capture the essence of his relationship with his mother, in life and in death. What is of specific interest to me is not the exact nature of the subject at the centre, rather it is the question of the best way to approach writing about a deeply personal experience drawn from one’s own life – memoir from within, memoir with a degree of distance, or memoir turned into fiction. It seems to me that each can be powerful and effective, the challenge, I suppose, is to find out what works best for the writer and his or her circumstances, that is, to find the intersection where the story comes alive. 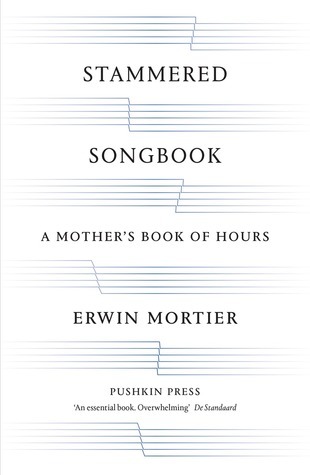 Stammered Songbook by Erwin Mortier is translated from the Dutch by Paul Vincent and published by Pushkin Press. In turning serious attention to the awards for translated and international literature that have dominated this spring, I have had pleasure of encountering many authors whose work I am looking forward to exploring at greater length. Belgian author Erwin Mortier is one such writer. His stunningly beautiful and moving account of a one woman’s experience coming of age in Flanders during the First World War, While the Gods Were Sleeping, was, truth be told, my personal favourite from the IFFP shortlist. A second installment of his epic WWI project has been released in Dutch, but until it sees an English translation I decided to turn my attention to his earlier novels which have recently been re-released by Pushkin Press. “When all the pictures had been properly dusted the grandmother closed the glass wings of her cabinet. She had reflected, reassessed and rearranged. She had piled proof upon proof, for and against Death, who was both her enemy and her most loyal ally. Death robbed her of her relatives, but he also fixed them in still poses ensuring they would meekly undergo her domestic ministrations. The insubstantiality of his reflection is telling. The young narrator is routinely compared to Marcel, his grandmother’s youngest brother who died during the war. He is haunted by this spectral relative and, in a sense, never allowed to be seen for himself. He is routinely reminded that he is “Marcel to a tee, but for the eyes which I got from my mother.” Others remark that he takes after Marcel in nature: “Marcel always kept to himself, too.” But the exact circumstances of Marcel’s death are shrouded in mystery. Regular comments are made about the Germans, the aftermath of the war, implications about allegiances – but for all his perceptiveness, our narrator is too young to understand politics and history. It is not until he tries to impress his teacher, a buxom woman with whom he is utterly besotted, that a dark and ugly truth finally comes to light. 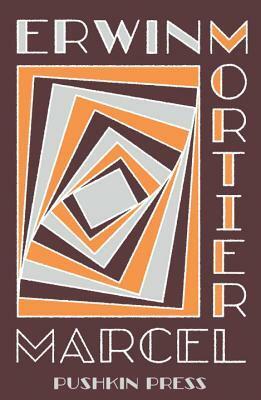 Mortier is a slow and patient writer, he allows his stories to unfurl in their own time. His love of language is evident – colours, patterns, textures, qualities of light, scents and sounds are all vividly evoked. But in contrast with his more recent work with its rambling, hypnotic Proustian sentences; the attention to detail is offered with a delicate restraint. The prose is spare and haunting, the mystery unfolds gently. Marcel stands as a most confident debut which, in hindsight, clearly points to great work to come. Helena Demont, the aged narrator of While the Gods Were Sleeping by Dutch-language Belgian author Erwin Mortier, is a frail bodied but sharp-witted woman intent on employing the only weapon she has ever trusted, language, to rally her ghosts. Tended daily by her Moroccan carer, she fills notebook after notebook with her thoughts and reflections about the power and limitations of words, and the distortions and intensity of the memories that haunt us. She is, even at her advanced age, struggling to reconcile the fraught relationship with her mother whose voice still admonishes her in her quiet moments, come to terms with her envy of the freedom and detachment that her gay older brother Edgard seemed to enjoy, and sculpt into living memory the body and spirit of her long deceased beloved husband. At the centre of this intensely powerful novel is Helena’s vivid account of her experiences in Flanders during the First World War. The breakout of war happens to coincide with the beginning of her bourgeois family’s annual summer pilgrimage from their home in Belgium across the border to her uncle’s farm in France. As a result, she and her mother end up confined to the farm for the years of the war, separated from her father who is unable to join them and her brother who volunteers and is sent off to the front. She sees much of the war from a distance, with a mixture of awe, adolescent romance, and horror but it will stand as the pivotal experience in her long, long life. Some may find the long, reflective (dare I say Sebaldian) transgressions about writing, and the rejection of clear chronological storytelling disconcerting at the beginning, but Mortier employs language, as his narrator wishes she could, like a painter, building up layers, blending colours and textures to create a deeply human experience that pulls together clearly and beautifully in the closing chapters. Paul Vincent’s translation captures the poetic beauty of the language and manages to navigate the contrast between the wartime dialogue as remembered and the narrator’s very contemporary tone when she is reflecting on the nature of writing or complaining about the regrets and annoyances of her life in the present day. In the end, this novel is a meditation on the way that we remember; how memories are evoked, stored, treasured, and released. In a particularly powerful passage, Helena is following her British photojournalist husband across a bleak ice covered Flemish landscape and decides to take a photograph of him, from behind, simply for her own keeping. When the film is later developed in their makeshift darkroom, corpses are revealed trapped just below the surface of the ice. An horrific image of the aftermath of war for certain, but also a striking metaphor for the way that memories resurface as we look back over time, how ghosts we thought long put to rest can continue to rise up and haunt us. International Foreign Fiction Prize 2015: Several of the novels in this year’s long list visit the First World War. This is another equally impressive yet unique approach. 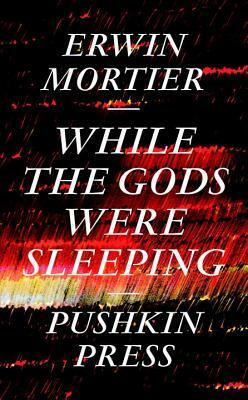 I would be happy to see this novel on the short list and I know that I will be seeking out Mortier’s earlier work.